Recently, I found myself on the magical green island of Ireland, surrounded by the beautiful ladies of Sheridans Cheesemongers. It was just my luck to hear firsthand the story of how their young company is changing the face of Irish artisan cheese appreciation. The business started the year 1995 in Galway, near the picturesque Bay waterfront. A laid back, west coast town of 230,000, Seamus Sheridan found Galway to be the perfect platform for his ambitions in diversifying the local food market. Bringing artisan cheese and other specialty food products to the Irish populace was his main goal. At the beginning, his selection was primarily foreign; a classic, rustic cheese selection from France, Italy, and Spain. Yet during the past ten to fifteen years, Ireland has experienced a new wave of domestic cheese makers. Keeping with the times, Sheridans chose to replace diverse, foreign products with their equally delicious, national alternatives. 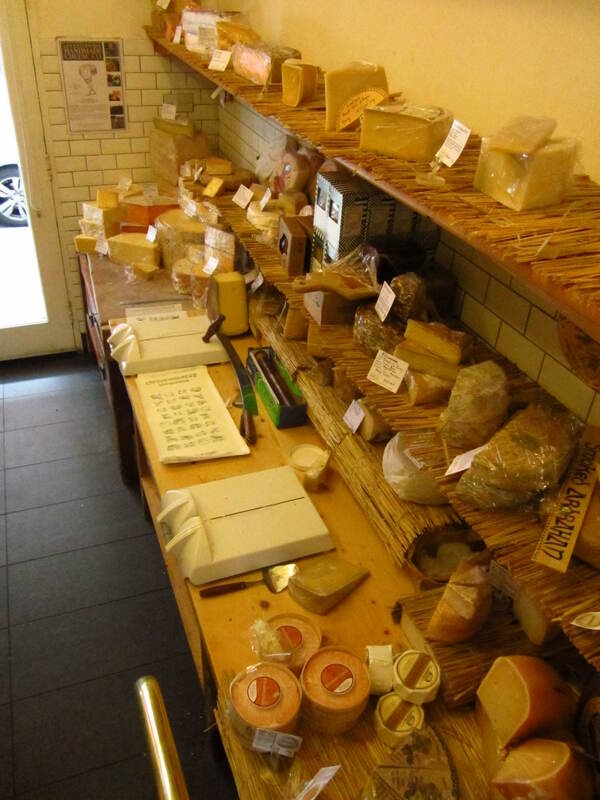 One can now visit a friendly staff of Sheridans cheesemongers in Galway, Dublin, Meath, and Waterford. As a cheese monger for Bedford Cheese Shop in Manhattan, I have tasted and smelled a decently large variety of artisan Irish cheese. 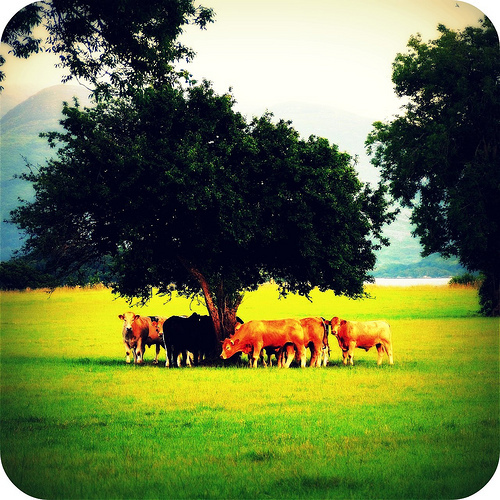 I had dreamt frequently of the lush, green pastures ideal for cows and sheep to graze. I also knew that cheese never tastes better than when you are in its native land. Elisabeth Ryan, the Wholesale Manager for Sheridans, graciously lent me a couple of hours of her time one foggy, dewy, Dublin morning. Elisabeth told me to meet her at the new POP UP café, Coffee Angel, only two doors down from the Dublin cheese storefront. She told me slyly in an email that our meeting was an initiation of the business, as they had just opened their doors that very morning; “ …we can number amongst the first customers!” Elisabeth was speaking my language. For any die hard foodie in the States, the notion of a POP UP shop was the place for up and coming food artists to share their craft and enrich the neighborhood, without having to sign a permanent lease. In these economically challenging times, the POP UP is the perfect model for the struggling food artisan. Dublin was on the same page. 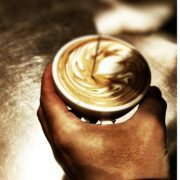 I sipped on my latte art as I listened to Elisabeth reminisce about the days when their beloved street was vibrant with a butcher shop, and much more. The question of how to contribute value to our local streets is a global phenomenon. Fiona, one of the directors of Sheridans, who started with the company 10 years ago, joined us for a brief moment in the café on her way to work as we discussed the state of the Irish “artisan food movement.” Ireland, a country with an international reputation for high quality beef and milk, is also surprisingly diverse in its small batch cheese making community. Why use the word “surprisingly” when speaking of the bounty of artisan cheese in both coastal and inland Ireland? 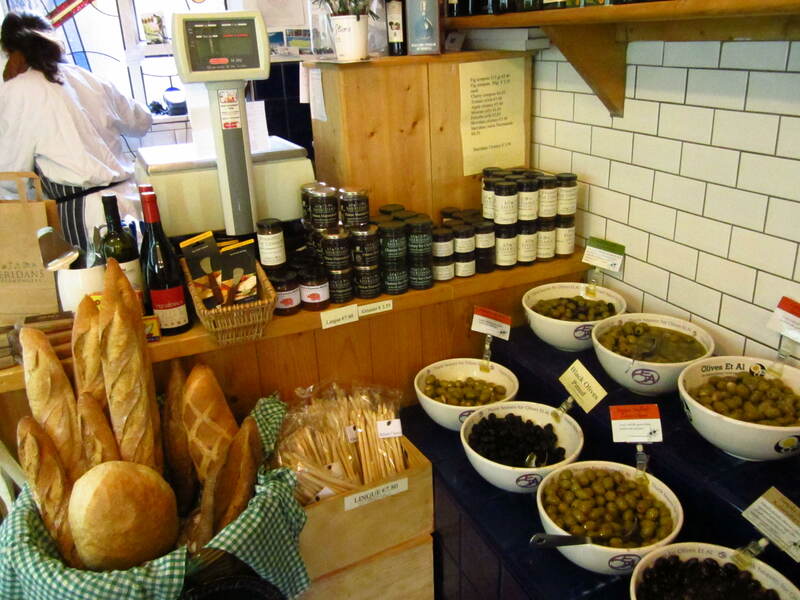 Just like many communities before industrialization, Ireland had cherished the local specialty food shops. Yet with the advent of international consumerism and the need to cater to a global food market, small batch production became a romantic notion of the past. In the present day economy, small food production for local distribution is no longer a supported model, making artisan Irish cheese a luxury commodity. Sound familiar? Irish small batch cheese makers finds themselves in a similar boat as our American artisan counterparts. The difference is that the national population of 4.5 million means a limited audience for this grassroots food movement. Although sixteen percent of milk for the global infant formula is sourced from Ireland, success as a small production farmstead cheese maker is a rare story that is showcased at Sheridans. Taking care of a dairy herd while simultaneously making cheese can only be profitable if the work is solitary and rigorous. Twelve to fourteen hour days is the standard: “It’s nearly impossible for an Irish person to sustain a life as a farmstead cheese maker. Many Irish cheesemakers purchase milk from a neighboring farm; the time commitment of having both farm animal maintenance and a cheese making plant for small scale production is too expensive” said Elisabeth. Ryan and the rest of the Sheridan team are focused on developing an innovative model to bring the small, specialty food world of Ireland into the public eye. They are teaching their customer base how to appreciate this extensive dairy phenomenon, giving the cheese producers a social platform as well as a customer following. Part of Elisabeth’s work week is devoted to developing their social media outlets in the promotion of numerous domestic farms and cheese makers that are featured in their stores. She often spends time tweeting and facebooking on behalf of some of the cheese makers. 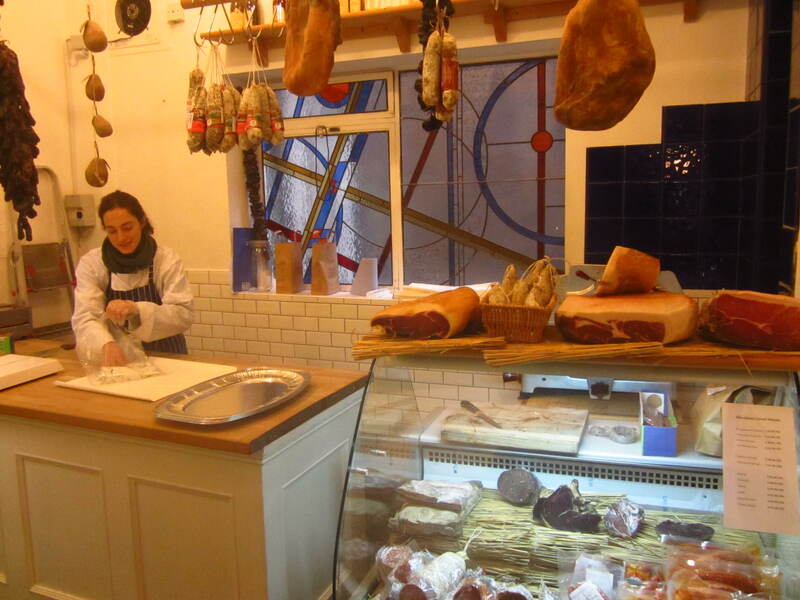 They also partake in community forums, selling their domestic cheese line at local farmers markets as well as through their warehouse space in North Meath – an old, converted train station. Elisabeth informed me, “Our first warehouse was in Athboy and was a converted creamery. The Company decided to move to North Meath four years ago because the community there fit our business style. Sheridans wanted to own the premises and have some land.” The new location is in better condition, with more space. At their current warehouse you’ll find the delicious cheese back stock and a functioning event space. Their event space is a great way to gather all small batch food supporters under one roof. Their offerings include a four part cheese class for consumers and the epic Irish Food Festival during the month of May. You can tell that employees at Sheridans feel a sense of ownership in the way they do business. To name only a few other incredibly diverse business development ideas, they have become a leader in the Irish Farmhouse Cheese Makers Association, aka CAIS– “cheese” in the Gaelic – and they have started designing their own cracker recipes with County Cork baker, Graham Lee. 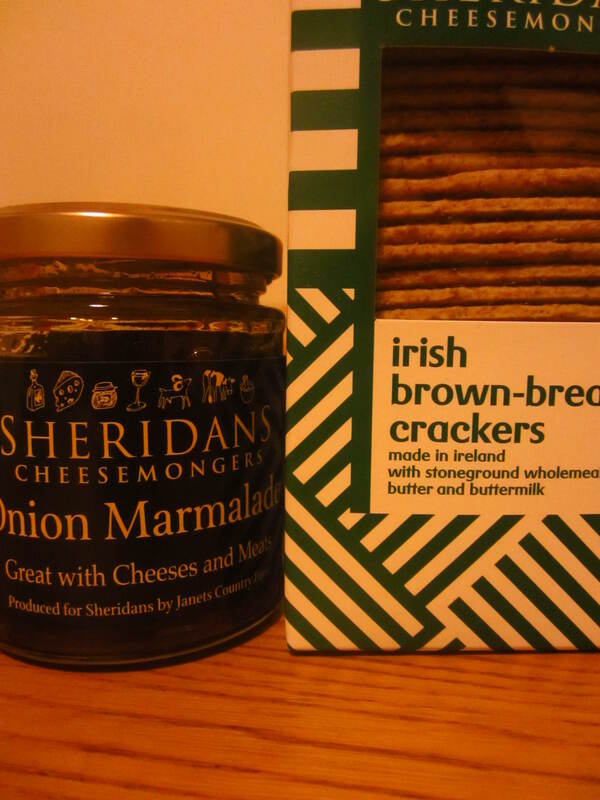 The classic Irish Brown Bread Cracker I highly recommend; not only are they excellent cheese crackers, I can also list the quality ingredients on four fingers: stoneground whole wheat flour, butter, buttermilk, and sea salt. Through their journey to create a name for Irish Artisan Cheese in the global market, they can now proudly say that they export their cheese selection to the UK, Holland France, and Italy. As for the exotic products found in their store in the name of chocolates, canned fish, cured meat, olives, and wine, Elisabeth summed up their purchasing philosophy through their relationship with Claudio Corallo Chocolate based out of the Democratic Republic of Sao Tome and Principe, in Africa. The cacao bean for the chocolate is picked fresh and the chocolate is produced and packaged on site, preserving the full aroma of the beans; “This is full on fair trade, where the product is made in its geographical location from start to finish.” Indeed, this is an admirable way to purchase food from foreign countries; there is an investment in the local economy, the local natural geography, and the local flavor. All these different elements are a formula for consistent high quality and integrity. Even an extreme food locavore hankering for a bar of chocolate would buy into that scheme. When Elisabeth and I had finished our delicious coffees and entered the inspirational shop, it was an extremely difficult task to exit the premises without a bulging bag of Irish cheeses, chutneys, and crackers. Yet in the name of the artisan food revolution, I was obliged to carry as much as I could back to the States. Although I held my breath through customs on the return voyage, I can safely say it was worth it, as shown by the below photos. 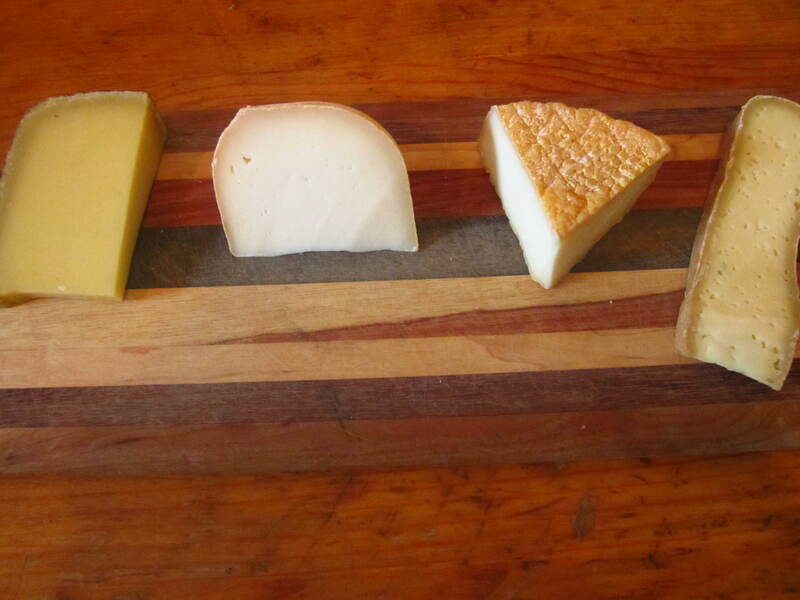 Read on to learn more about the individual cheeses! Glebe Brethan, County Louth, Ireland: Conceived eight years ago by cheese maker David Tiernen, this is the most successful interpretation of the French Alpine style cheese, Comte. Full bodied, with a rich, semi-soft paste, the flavor is a mix of bright tropical fruit and macademia nuts. David has a herd of Montbeliard cows, which is the original breed used in the Jura region of France. Aged around 1 year. Knockdrinna Gold, County Kilkenny, Ireland: A beautiful floral and meaty semisoft washed rind goat cheese made by Knockdrinna Farmhouse cheeses. This cheese is washed in a white wine during its aging process, giving it a light, fruity undertone. These cheese makers have been buying local milk since 2004. Aged 4 to 6 months. Kilree, County Kilkenny, Ireland: Also made by the folks at Knockdrinna Farmhouse, this goat cheese is a rockstar: extremely balanced, flaky, delicate curd texture that bursts with creaminess and meatiness. Rubbed frequently in brine, it is a bold cheese that even the mild cheese eater will drool over. Aged 2 to 3 months. Kilcummin, County Kerry, Ireland: The cheese maker, Maja Binder, makes her cow cheeses on the wild Dingle Peninsula, right next to the minerally, salty coastline. That coastline is reflected directly in the flavor profile of this cheese, as it is washed in salted whey consistently and aged in a 200 year old stone building. A mix of mountain and tomme style, this earthy cheese uniquely screams, Sea Water! Aged 3 to 4 months. 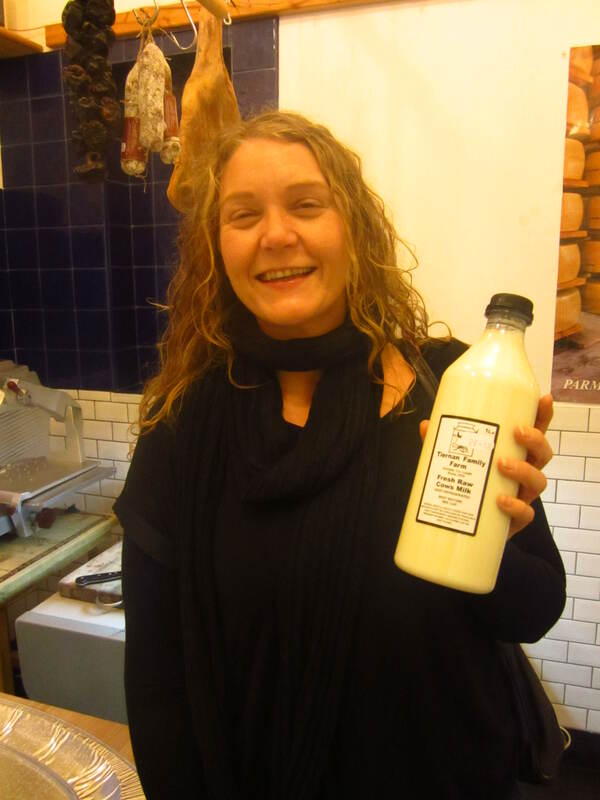 The stunning Elisabeth Ryan, Wholesale Manager, featuring raw Tiernen Family Farm Cow Milk. This milk is used to make Glebe Brethan, the Comte style Irish cheese mentioned above! Tags: food movement, ireland. Bookmark the permalink.